PEOPLE are being urged to throw their support behind an underwater project that could bring £60million to Weymouth and Portland over 10 years. 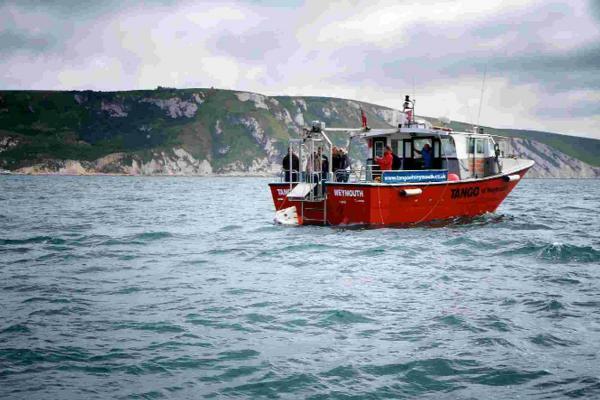 Wreck to Reef aims to sink two ships on a square kilometre of seabed in Weymouth Bay – there is space for a community reef, lobster reef and memorial area. The volunteer-run project wants to create a destination for divers to visit and the idea is that they will stay in the area and spend money. The artificial reef created from the cleaned ships would also provide a home for marine life such as lobsters, crabs, fish and plants, and volunteers want to create an education area. The lobsters would then replenish stocks in the area and support the fishing industry. Working with local schools they aim to populate the community reef with sculptures made from Portland stone as well. Organisers say that a similar project in Plymouth saw the decommissioned warship HMS Scylla cleaned and sunk and the latest figures from the site show it has attracted more than 30,000 divers and generated £60 million for the local economy in the last ten years. Wreck to Reef (W2R) hope to have the same success with their project. Last month artist Simon Faithful sunk the first art sculpture on to the community reef site. The concrete boat sculpture was set alight and sunk to the bottom, where it will become a home for marine life, plants and fish. Around the lobster reef a memorial reef will be created using solace stones. The triangular stones will provide a home for the lobsters and other marine life. Wreck to Reef is the only group in the UK to have permission for a one square kilometre area of seabed. In the case of the Scylla the South West of England Regional Development Agency and the National Marine Aquarium came up with the funding. The W2R organisers have launched a petition asking people to show their support for the project and urge the UK Government to gift the project a ship to use on the site. In other areas of the world, including Thailand and Portugal, ships have been gifted to groups to become artificial reefs for dive sites. The petition hopes to change the government’s mind and get them to gift at least one ship to the site.